Why should you care about Social Engineering (or people-hacking)? The woman in the video uses a few techniques to trick the call-service agent: the crying baby to up the pressure, diversion - requesting access for someone else (“Can my daughter get access?”) and empathy (“My husband said get this done by today”). 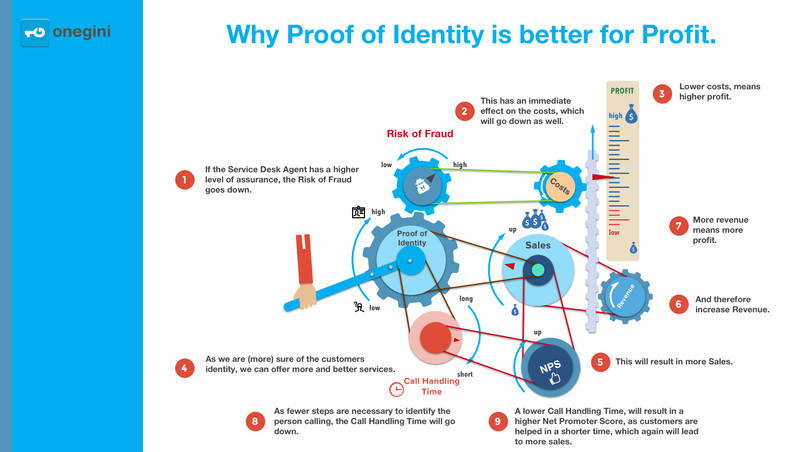 As people become the weakest link, organizations need technical tools to protect them against fraud. Tricking the Call Center Agent is the easiest way in committing fraud and pretty much all efforts are pointed towards exploiting this channel. Sure. Before we go further, can you please give me the following info? 1. What is your first initial? 3. What is your postal code and house number? That is correct. What was your question again? As this data is almost all publicly available anyone could impersonate me. So what does this mean? It must be assumed that the Call Center Agent is not sure who he/she is talking to and therefore only low-risk services can be performed. This has significant effects on the rest of the organisation as additional channels or processes need to be in place to offer required services. Moreover, as it will take longer to identify the customer, customer satisfaction will go down and so will the Net Promoter Score (the willingness to encourage other people to use same service) which will have a negative effect on the bottom-line eventually. And as the risk of fraud rises, costs will rise as well as you need more expertise and trained personnel in order to stay ahead. Please have a look at the infographic below. Basically, it all comes down to trust: if you are more sure about who you are talking to it will cause a positive effect on all parts of the organisation. Onegini has developed an easy to use, but most of all, easy to integrate solution to the problems above. In stead of asking the obvious question, the Call Center Agent sends a push notification to the caller and asks to respond. Depending on the level of assurance, the caller answers this notification with the proper response, either by acknowledging the push, entering the PIN code or scan his/her Fingerprint.